Angham A. Abdulahad: Birth in Baghdad Iraq, She is now a PhD student, in Context Awareness Computer Networking; she started in January 2008 at the University of Salford within the School of Computing Science and Engineering. 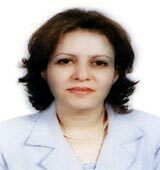 She graduated from the University of Technology, Baghdad in 1984 with a BSc in Systems and Control Engineering; she was the 1st amongst 121 Graduates, she obtained her MSc. in Computer Engineering from the same University in 1989. Modern environments are getting more intelligent about the needs of the people who live, work or socialize in these environments. In order to achieve this level of intelligence in such environments, networked computer systems have to be introduced into the environment at various parts and sections wherever intelligence is needed to achieve a complex task or interact with people. In this PhD research, context awareness and networked systems will be used to create a smart classroom environment. Such environment would use advanced technologies including, wireless devices and sensor networks to achieve the required degree for intelligence. The research aims to achieve a smart seminar and classroom environment that will react to the needs of the instructor and the learner to make the delivery of the seminar / lecture more effective and interactive. Part of this research is concerned with the use of LDAP (Light Weight Directory Access Protocol) as the context server to act as a storage medium for the context aware system. A.A. Abdulahad, “Remote control measurement & monitoring system”, Technical Journal, 2004, Baghdad-Iraq. A.A. Abdulahad, “Remote control stepper motor by infra-red”, Technical Journal, 2003, Baghdad-Iraq. T.M. Toma, M.F. Mahrook & A.A Sabagh, “Lifting water to high level areas by gravity”, 1998, World Renewable Energy Congress, Florence, Italy, vol.4, pp2389-2392. T.J. Hindi, A.A. Abdulahad & N.M. Hassan, “Computerized Alarm System”, Sept.1996, Al-Muhandis Journal, -127, Vol.3, No.3, pp 12-18, Baghdad-Iraq. A.A. Abdulahad, “Measurement of specific variables (Resistance & capacitance) uses Al-Warkaa PC, Al-Technical Journal, 1995, Baghdad-Iraq. A.A. Abdulahad, N.M. Hassan, T.J. Hindi, “Design of multichannel oscilloscope board for PC’s”, Journal of Engineering & Technology, 1995, Vol.14, no.2, pp 46-52 Baghdad- Iraq. S.A. Albermani & A.A. Sabagh “The use of root locus plotting of up to 4th order systems”, 1986 Modeling & Simulation Conference, University of Pittsburgh, USA.